Some new variations of joss paper in Vietnam are getting too risqué for comfort. Burning joss paper during festive occasions is an age-old tradition in Vietnam, where religious residents believe that whatever they burn will reach deceased relatives in the afterlife, providing them with wealth and comfort. The most common items are usually fake money or even house models made of paper. However, the Ministry of Culture, Sports and Tourism recently issued a directive to provincial and municipal culture departments across Vietnam urging local officials to curb the practice. 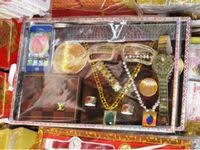 According to the ministry, a worrying trend has gained popularity over the past years where joss paper vendors start selling items that are inappropriate and not suitable for Vietnamese culture. These include paper bikinis, men and women’s underwear, and other types of swimwear. These seem a little skimpy for grandma. “Here, our supplies change every year. For this year, some shops even stock two-piece swimsuits, dresses and shoes compared to only shirts and áo dài like previous years,” Tran Thi Thu Thanh, a vendor owner on Hang Ma Street in Hanoi, told VnExpress. Hang Ma is the capital’s joss paper “center” with rows of shops dedicated to paper replicas of real-life objects. 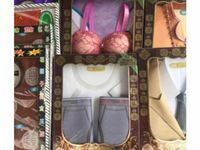 A photo of joss paper bras has made the rounds on Facebook, drawing ire from netizens and historical experts alike. Historian and Professor Le Van Lan shared his disapproval of the trend with Dan Tri, saying that by burning ostentatious items, some are missing the point of the tradition. Male family members are not left out either. A hip hop-inspired set for the fans down there.